Xbox 720 rumours are now more than just internet gossip. It's one thing to wildly speculate about the next Xbox console. It's quite another to find out that Microsoft is gearing up to build one. Recent job postings reveal that the Xbox Console Architecture team is hunting for new blood. Successful candidates will join a team that will be "responsible for defining and delivering next generation console architectures from conception through implementation." 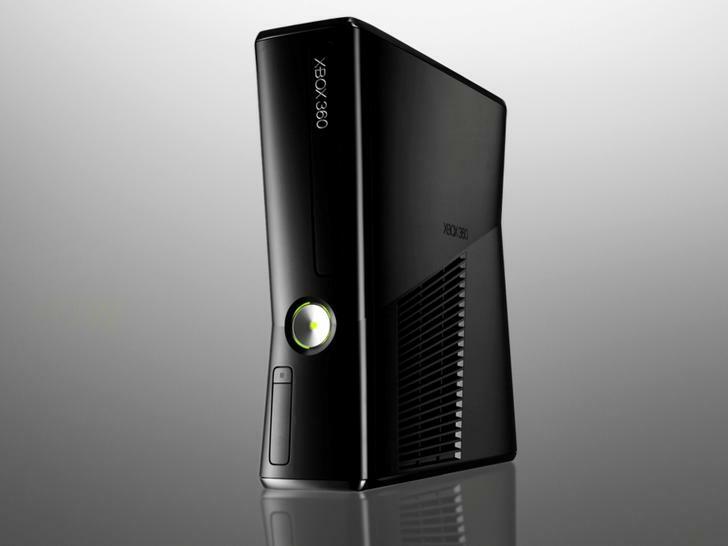 The Xbox 360 was launched in 2005, with the best technology that 2004 had to offer. Inside, it used a custom-made IBM Power PC with a trio of 3.2GHz cores and an ATI graphics processor. Compare this ageing specification to a 2011 PC like the Scan 3XS Vengeance. It rocks the latest Core i7-2600K Sandy Bridge CPU, Nvidia GTX 580 graphics card, 1TB of onboard storage and 8GB of DDR3. Cevat Yerli, the boss at Crytek, believes that the PC is effectively a generation ahead of the Xbox 360 and PS3. "As long as the current console generation exists and as long as we keep pushing the PC as well, the more difficult it will be to really get the benefit of both," Yerli spilled to Edge. Cloud storage? We might not be ready to abandon physical media just yet. But Steam has served PC users well for several years and OnLive is turning heads. The most obvious next-gen storage option for the next Xbox is Blu-ray. But Microsoft has refused to add it to the existing Xbox 360. Other alternatives? You'll find flag-wavers for flash drives, Nintendo-style game cartridges, even the resurrection of HD-DVD. Considering that the Xbox 360 Slim now features a 'Vejle' CPU/GPU combo processor, KitGuru ponders the possibility of the new Xbox 720 getting a cutting-edge AMD Fusion chip. It's betting on the DX11-capable Krishna APU (Accelerated Processing Unit), due for release late 2012. The 'bigger, better, more' ethic is what makes the games industry tick. Eat Sleep Play founder David Jaffe suggests we desperately need a new generation of high-end consoles to keep producing 'blockbuster' games like Battlefield 3, Crysis 2 and LA Noire. "Gameplay travels very easily," Jaffe told IGN. "The spectacle doesn't." EA's Frank Gibeau disagrees. "Obviously, more computing horsepower is nice, but to be honest, the Xbox 360 and PS3 still have a lot of horsepower that hasn't been tapped." Epic's Mark Rein suggests that a tablet might be the shape of consoles to come. "Imagine a future Xbox 360 that is actually a tablet you carry around," Rein told Develop last year. "It will have more power than 360 does today, with technology like Kinect built right in…"
What about the Xbox 720 controller? Love it/hate it, gesture-control is here to stay. Expect an improved version of Microsoft's Kinect hardware to be a prominent feature of any new Xbox. Kinect is currently the world's "fastest selling consumer electronics device" with sales topping 10 million. A Guinness World Record. But the game pad will remain the input device of choice for veteran gamers. We can't imagine playing Gears of War 4 by waving our arms around. It lacks precision. Crytek CEO Cevat Yerli feels that we're due a "new [console] generation in 2012, 2013." While M2 senior analyst Billy Pidgeon told NowGamer that, while he expects a Wii 2 to surface by 2012, he's "not expecting a next generation Xbox before Q4 2014." The 2014-2015 timescale looks a good bet. Square Enix is already anticipating the Xbox 720 by planning to open a second Canadian development studio by 2012. "The new consoles from Microsoft, Sony and Nintendo will require more attention and more staff," said Stéphane d'Astous. "We want to prepare ourselves." Backing this up is a comment made by a designer who has worked with Microsoft, who implied that a new Xbox 2015 release date is set. In his online portfolio, Ben Peterson wrote "Microsoft Xbox. Confidential / Collaboration with Microsoft's IEB design group investigating future user experiences and hardware for 2015." The successor to Microsoft's Xbox 360 console is likely to be unveiled at E3 2012, according to a "high-ranking source at Crytek". They said that TimeSplitters 4 is being developed for the next-generation console, using Mircosoft's updated DX11 development tool.